I spent the summer of 2012 in an off-grid cabin on the eastern coast of Prince Edward Island, Canada. That summer, I listened as two of my favorite shortwave broadcasters left the air within weeks of each other: Radio Netherlands Worldwide and Radio Canada International. I was able to not only listen to the final broadcasts of Radio Netherlands, but also record them. I wrote a post about that memorable experience. Ironically, though I was only a geographic stone’s-throw from the RCI Sackville transmitter site, I struggled to hear any Sackville signals as my location was too close for skywave propagation and a little too far for ground wave. Though I paid a visit to the transmitter site only two days prior, I was unable to hear or record RCI’s final broadcast. Unlike RNW’s final broadcasts, RCI’s ended without fanfare and quite abruptly. This week, I heard a recording of that final RCI broadcast for the first time. My friend, Rajdeep Das, recorded it on June 24, 2012 in Kolkata, India. Rajdeep has kindly shared his recording with the Shortwave Radio Audio Archive and here on the SWLing Post. This is a short 10 minute recording, beginning at 1550 UTC, June 24, 2012 on 11,675 kHz. 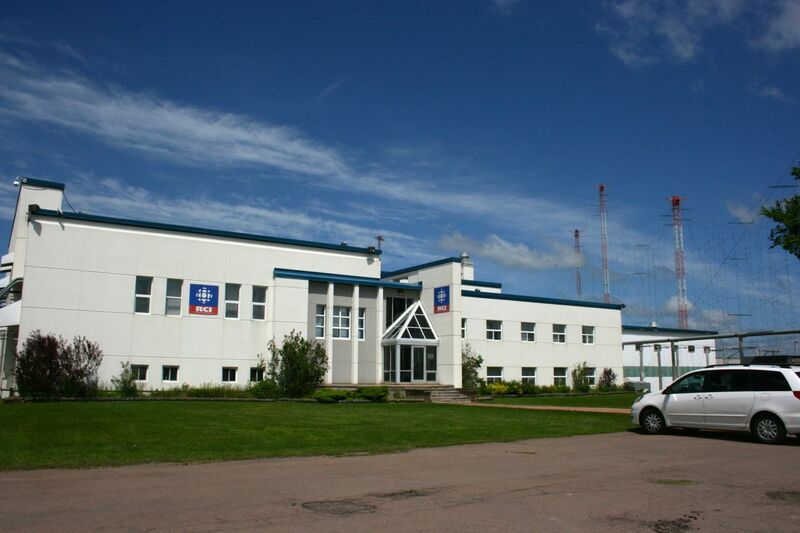 Listeners will note that the broadcast ends abruptly during the mailbag program–obviously the Sackville transmitters were turned off prematurely. SWLing Post readers should note that Rajdeep Das has a DX blog you should visit. I’ve added Rajdeep’s site to our blog roll. Thanks again, Rajdeep! 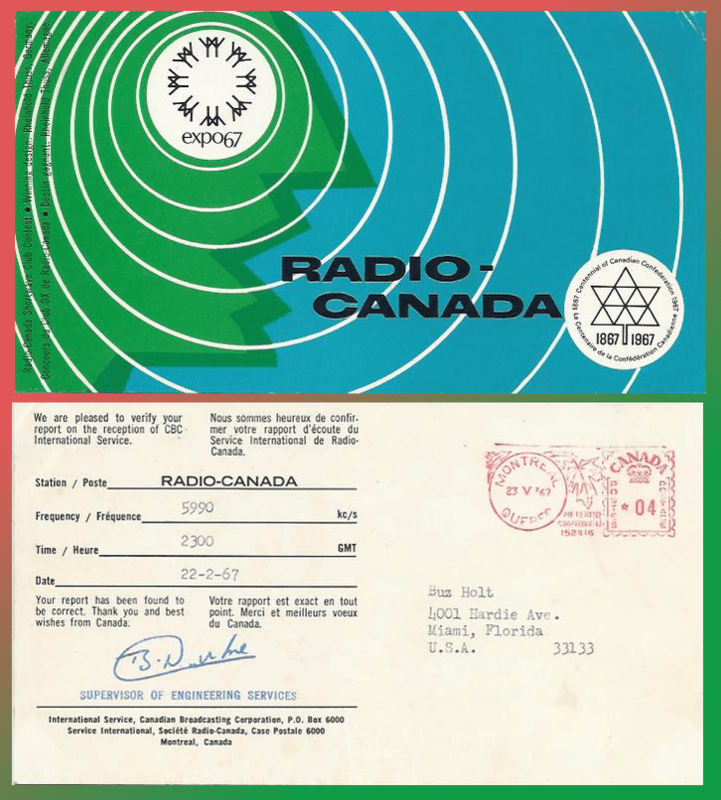 This entry was posted in Broadcasters, International Broadcasting, News, Nostalgia, QSL Gallery, Radio History, Recordings, Shortwave Radio and tagged Leeds Radio, QSL Cards, Radio Canada International, Radio Canada International Final Broadcast, Rajdeep Das, RCI, RCI Cuts, rci sackville on March 10, 2015 by Thomas. A piece of local history is slowly disappearing as crews dismantle the former Radio Canada International transmission towers on the marsh near Sackville, N.B. 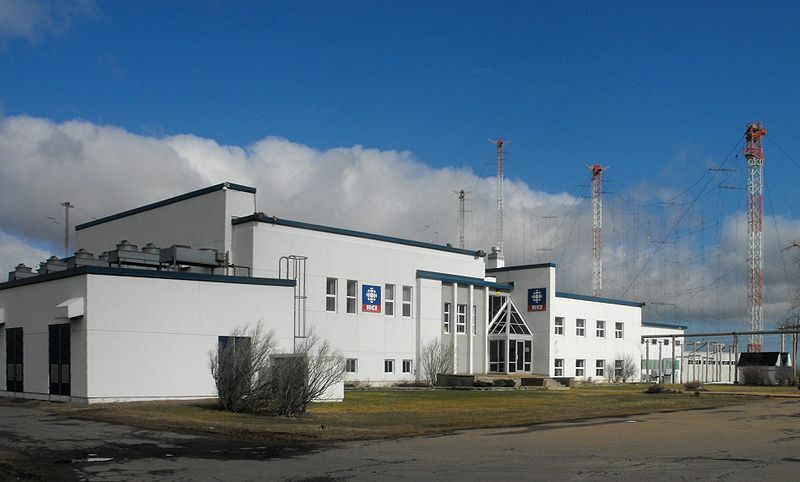 The towers, erected prior to the Second World War, were declared obsolete in October 2012 after the CBC ended its shortwave service because of changing technology and the use of the Internet and satellite radio. When no use was found for the facility the decision was made to have the towers dismantled. This entry was posted in Broadcasters, International Broadcasting, News, Radio History, Shortwave Radio, What's On Shortwave and tagged Radio Canada International, Radio Canada International Sackville New Brunswick, RCI, RCI Closure, RCI Cuts, RCI Sackville Closure on March 6, 2014 by Thomas. 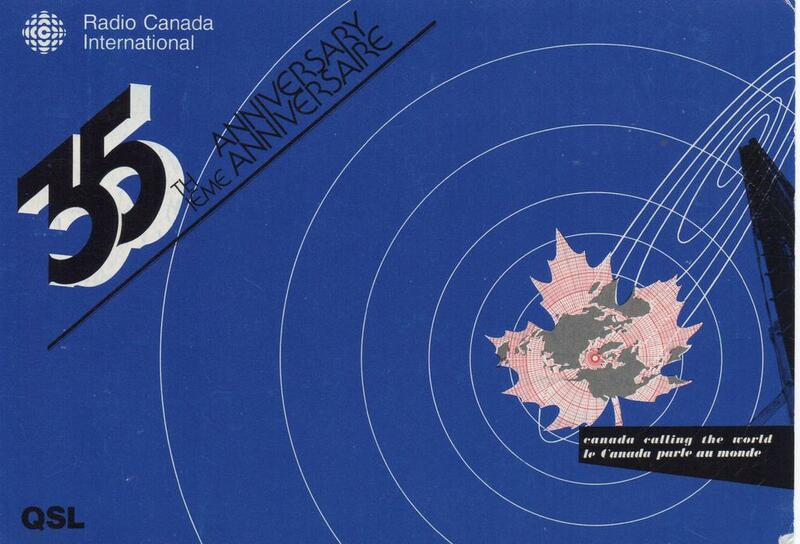 Last night, I listened to a live stream of the Canadian senate hearings regarding last year’s Radio Canada International cuts to shortwave radio. 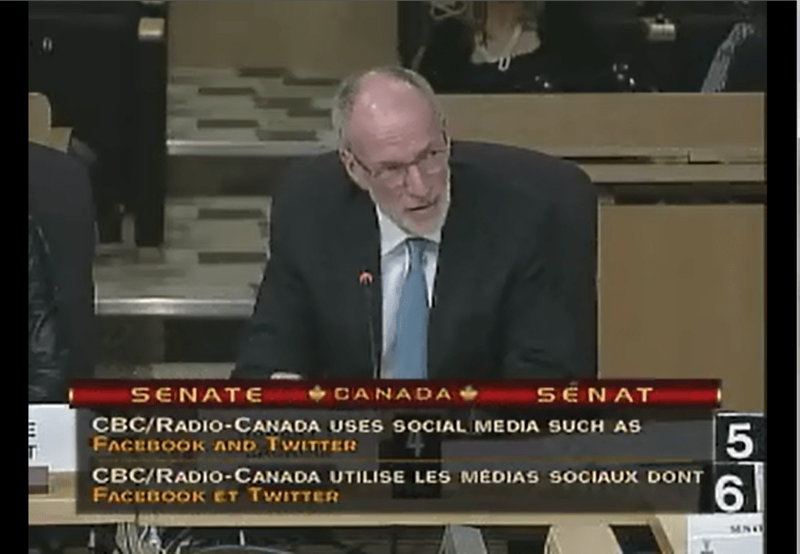 CBC president Hubert LaCroix and RCI director Michelle Parent met remarkably little criticism or resistance in the hearing, and it appears the report to the senate will be nothing short of cheerleading for the CBC. Indeed, the hearing’s tone overall was one of self-congratulation. The decision to cut RCI in this manner is a prime example of a few officials with all-too-limited knowledge making decisions in the absence of experts’ input. The business decision seemed to them essentially sound, and yet the impact of the decision has far-reaching negative consequences–for Canadians and as well as the rest of the world–that these officials may never fully comprehend. Monsieur LaCroix made it clear that the primary CBC mandate is to be a creative, innovative media force within Canada. For him, and most of CBC management, Radio Canada International must have felt like a leech to their dwindling budget. Were I in his position, with limited information and a mandate to protect his main “client” set (Canadians living in Canada)–I might have made the same decision. And yet…it was the wrong one. What would have solved the problem in the first place? 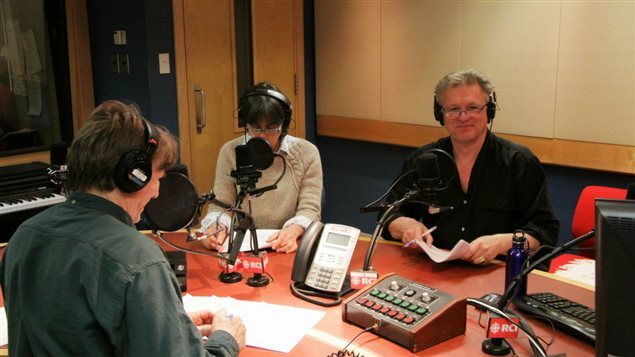 Radio Canada International should have been its own entity, with its own budget to manage, however modest–and if anything, funded through the foreign office rather than the domestic public news/entertainment body. After all, what RCI accomplished on shortwave was far more humanitarian and diplomatic in nature. I’ve written at length about the RCI cuts and will not go into them further on this post. But I do believe RCI Sackville could have been a more efficient and productive operation if it employed some sensible changes. Sackville had just finished installing a (paid-for) technology infrastructure to remotely operate the entire transmitter site. Moreover, Sackville management told me they had planned to cut their staff to a skeleton crew (of three people, if memory serves), only to be there if something mechanical on site needed service. These new adjustments were not even tried. Additionally, using a market model, RCI/Sackville could have offered their relay services to more broadcasters at competitive (even market) rates. Their hourly rate to broadcast on shortwave was simply too high, thus potential customers sought more efficient cost-effective transmission sites. Sackville was never given the tools to become a self-funding operation like so many private broadcasters have become. Sackville’s infrastructure was an incomparably valuable resource in which many millions in taxpayer money was already invested and paid in full; sadly, these cuts have destroyed this investment. The Sackville site, moreover, had the potential of a sleeping army, both in foreign affairs…and in Canadian security. But it’s gone. Simply because a few politicians doing their near-best didn’t have all the relevant information. RCI still has some great talent on board. Canadian expats living abroad, and those who are connected to the web, can still enjoy RCI via the website or on mobile platforms. That is an audience that may actually expand through a social media presence–something they could have done more effectively prior to the budget cuts last year. I was also encouraged to hear that there is a serious effort to distribute RCI’s online audio content–free of charge–to broadcasters in local radio stations around the world. This is very positive: FM, though not as accessible as shortwave in Africa, has a strong community following and stations are appearing everywhere. I hope RCI has a dedicated employee whose sole focus is to identify and build connections with these local outlets for their content. 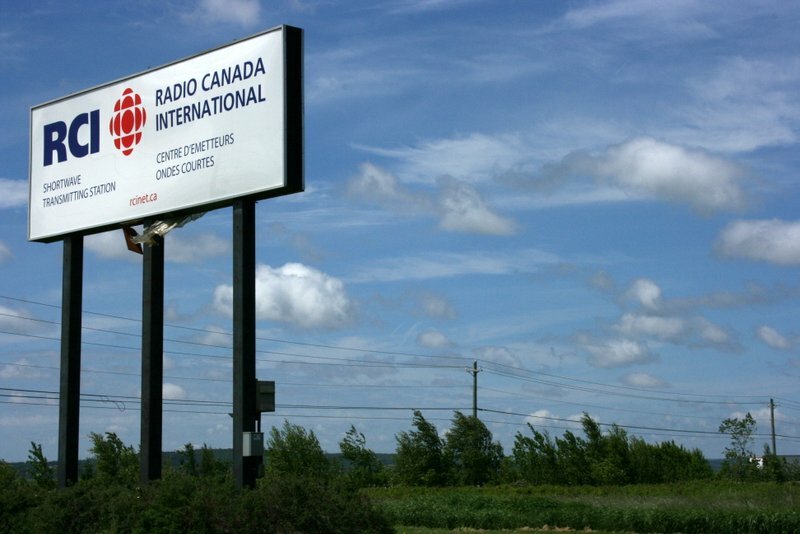 Barring a takeover or drastic re-organization, it sounds like Radio Canada International over shortwave is now destined for the history books. To honor this history, I sincerely hope the new RCI innovates and penetrates new markets. And I hope RCI employees, many of whom have long memories, find challenge and renewed confidence going forward. We certainly appreciate all of the years during which they graced the shortwaves, and wish them all the best. This entry was posted in Articles, Broadcasters, News, Shortwave Radio and tagged Canada, Hubert LaCroix, Michelle Parent, Radio Canada International, RCI, RCI Cuts, rci sackville, Sackville Closure, Sackville NB, Sackville Transmitter Site Closure on May 2, 2013 by Thomas. Last year, we mentioned that a documentary film featuring the RCI Sackville transmitter site was in the works. Fortunately, artist/film maker Amanda Dawn Christie, is on track for production of Spectres of Shortwave. Though the film has already received $70,000 in cash funding and $17,500 in services, they need an additional $10,000 to cover incidentals, so they’ve launched an indiegogo campaign. Consider helping them along the way with even a modest contribution by visiting their indiegogo campaign page. This entry was posted in Art, Broadcasters, News and tagged RCI, RCI Cuts, rci sackville, RCI Sackville movie documentary, Sackville New Brunswick, Spectres of Shortwave on April 10, 2013 by Thomas.